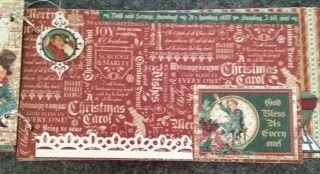 Selected Christmas and Halloween stamps and dies on sale! 30%off marked price. 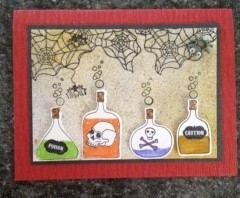 This Tuesday, October 27th, our free Demo will be presented by Barb Cox at 6:30pm. 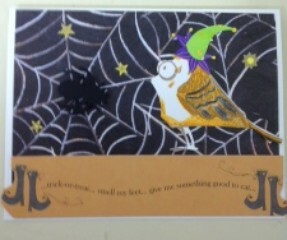 Barb will give us some ideas for using the Crazy Bird Stamps and dies! 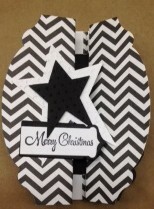 Did you make a Gate card or two? 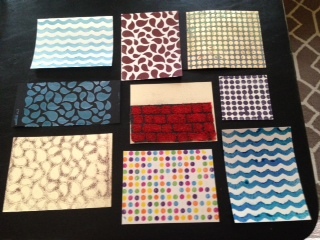 Bring in your sample and you will be entered in a drawing for a small prize! 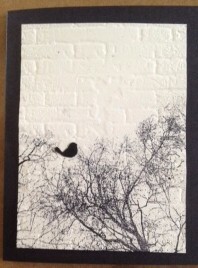 For all of you who are fans of Karen Schwochow’s Black and White Card Classes, (and there are a lot of you!) 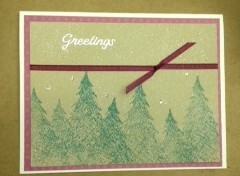 You might want to know that Karen will be teaching a Black & Whte Christmas Card class, Friday,October 30th at 11:00am. Fee $15 – preregister to insure a spot in this class. 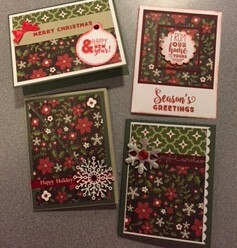 Stacy (from Stacy’s Stamps) is coming to teach a card class called Fall & Winter Flowers. 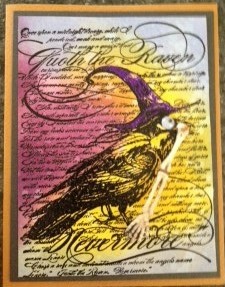 It will feature her new stampsOctober, November and December plus a bonus card using one of the next Stamps to be released. Mark your calendars! 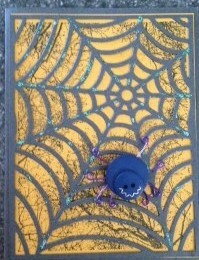 Thursday, October 29th at 600pm Fee $25 The class is filling fast, you must preregister. 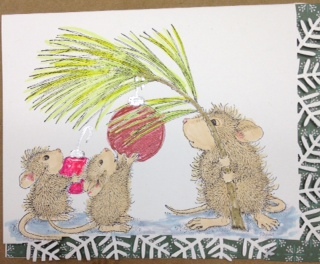 I know there were those of you who wanted to take Nancy Pietras’s House Mousse Christmas Card Class, but it filled too quickly! I told you I would let you know if Nancy would teach it again. Well, it is on the schedule for Saturday, November, 7th at 12:30pm. 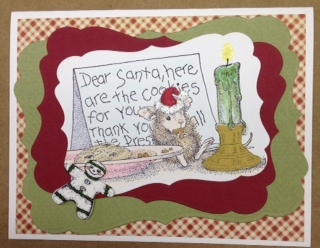 Don’t miss out on this fun-filled class again! Fee $15 please preregister. 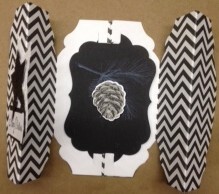 Join us for our Weekly make & takes- Thursday 1-6pm and Saturday 1230–330pm only $1 each! 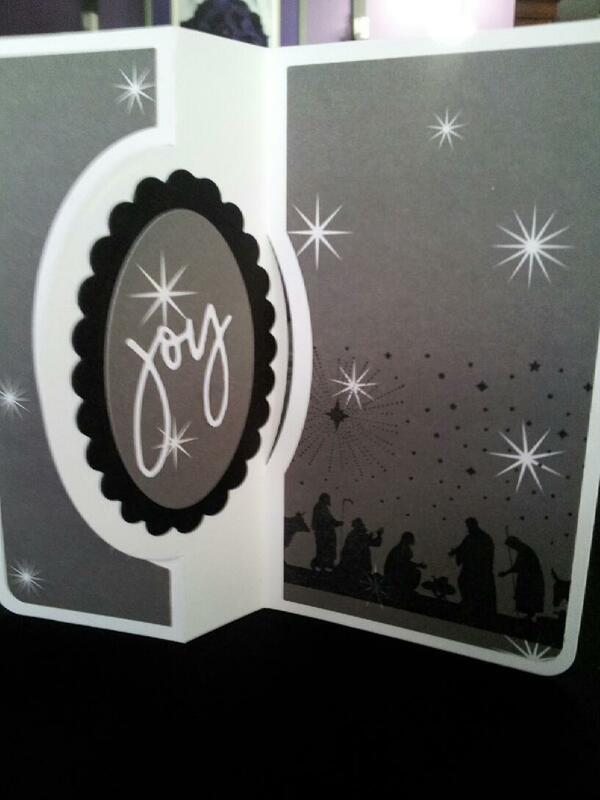 We are getting ready for our Annual Holiday Open House! Join us Next Saturday, October, 17th Starting at 10am for a fun day with New Holiday merchandise, free Demos, give-aways, snacks and goodies! Lots of last year’s Merchandise will be on sale! 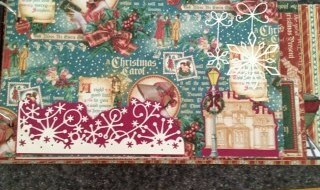 We will NOT have a make & take on Saturday but come in Thursday to make Christmas Cards! This Tuesday, October 13th our free Demo will be presented by Bev Mason at 6:30pm. 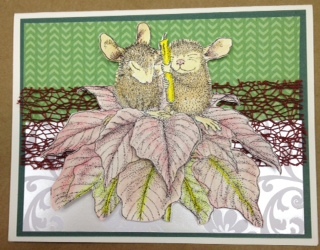 Bev will demo using stencils with Mixed Mediums.You’ll want to see this! 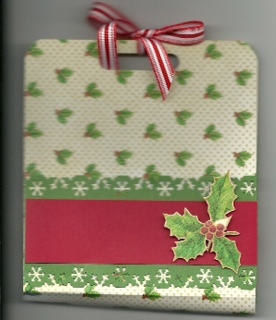 Did you make an card tag from Kathy Snyder’s Demo? 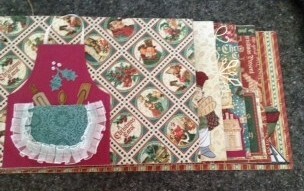 Bring in your sample and you will be entered in a drawing for a small prize! 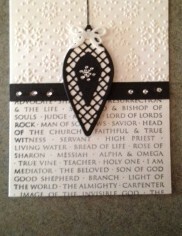 For all of you who are fans of Karen Schwochow’s Black and White Card Classes, (and there are a lot of you!) 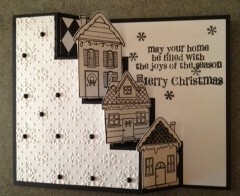 You might want to know that Karen will be teaching a black & Whte Christmas Card class, Friday,October 30th at 11:00am. 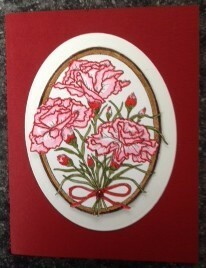 I hope to have sample cards soon. Fee $15 – preregister to insure a spot in this class. 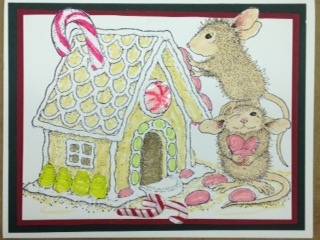 I know there were those of you who wanted to take Nancy Pietras’s House Mousse Christmas Card Class, but it filled too quickly! I told you I would let you know it Nancy would teach it again. Well, it is on the schedule for Saturday, November, 7th at 12:30pm. 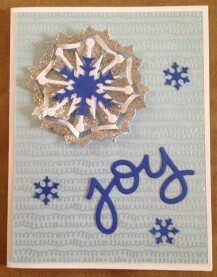 Don’t miss out on this fun-filled class again! Fee $15 please preregister. 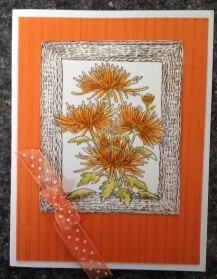 Stacy (from Stacy’s Stamps) is coming to teach a card class called Fall & Winter Flowers. It will feature her new stamps for October, November and December plus a bonus card using one of the next Stamps to be released. Mark your calendars! 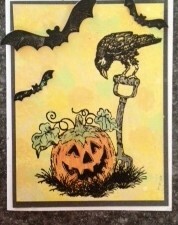 Thursday, October 29th at 600pm Fee $25 The class is filling fast, you must preregister. 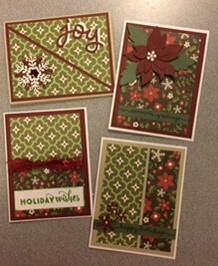 Join us for our make & take on Thursday 1-6pm and Saturday 1230-330pm $1 per card limit 3 of each design. 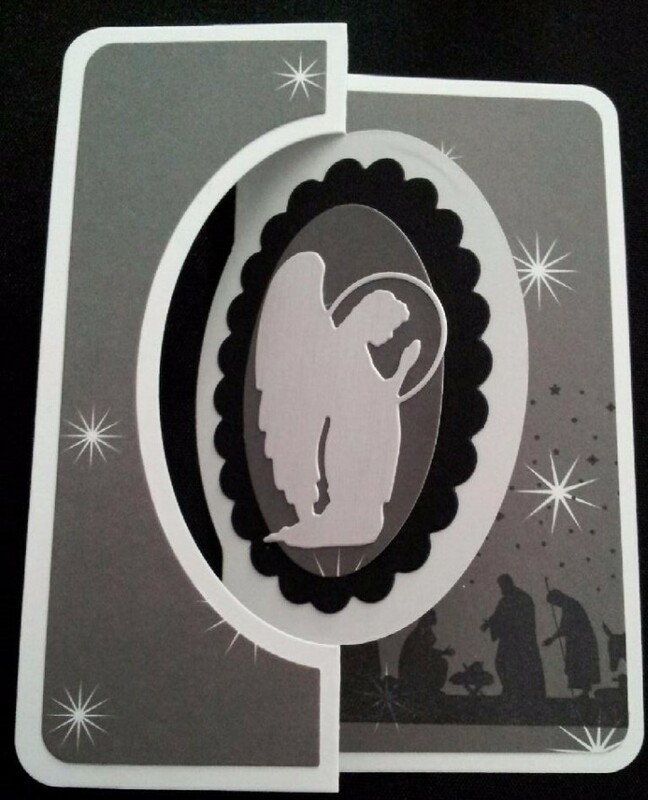 I generally post pictures of the cards on Facebook by Wednesday and I try to get them on the website also when I don’t have them ready for the newsletter. While you are on my Facebook page, I’d love to have you click the “Like” button…..if you do! Thanks to all who braved the weather to attend our Garage Sale last weekend. Special thanks to Cheryl Harwick, Pat Prucnal, Marla Nejvara and Candy White who went above and beyond to make the Garage Sale a success! 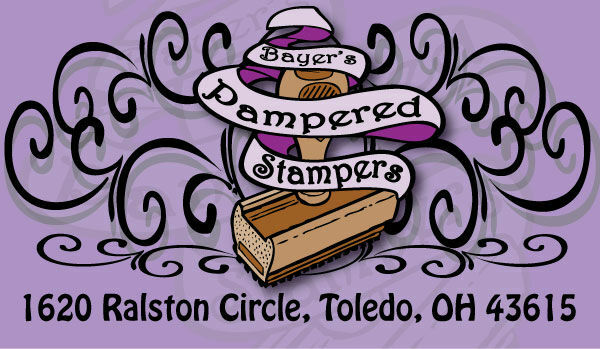 This Tuesday, October 6th, our free Demo will be presented by Kathy Snyder at 6:30pm. 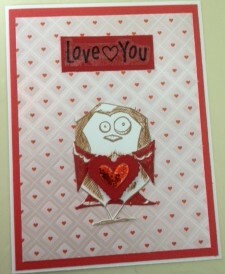 Kathy will teach us how to make a cute card and tag combo. 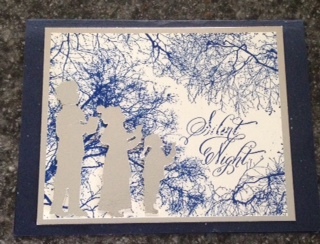 Did you make an example of Metallic Effects? 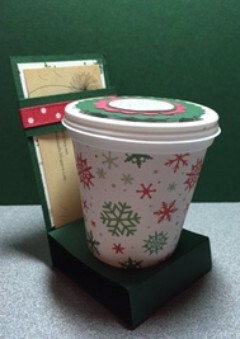 Bring in your sample and you will be entered in a drawing for a small prize! 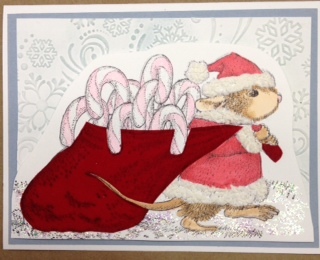 Our Annual Holiday Open House will be on Saturday, October 17th from 10am to 4pm Join us for hourly Demos & drawings as we unveil our New Christmas Merchandise. 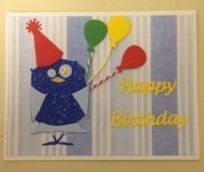 There will be snacks and goodies but NO make & take that day. Plan to join us!